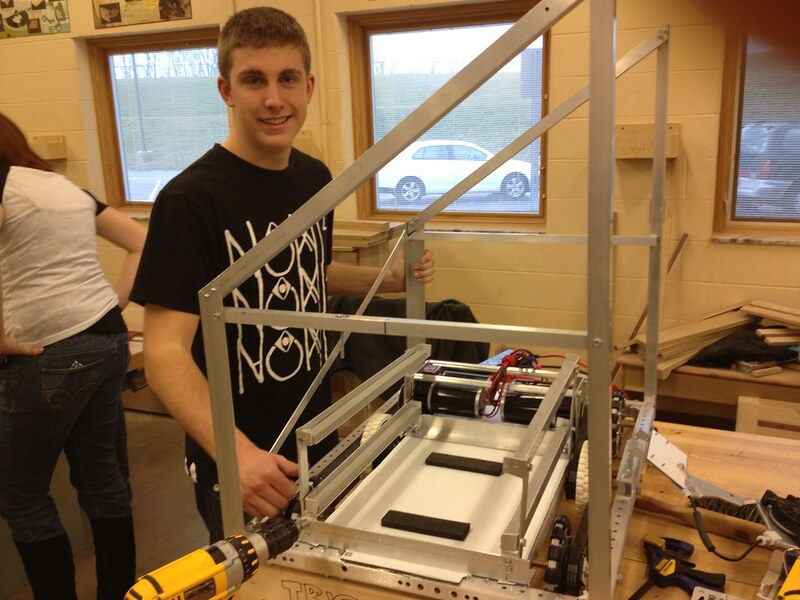 Team 4611 began in Fall 2012 when engineer Andy Halter collaborated with Olentangy Orange High School Industrial Technology teacher Rory Schmidt to bring FRC (FIRST Robotics Challenge) to the Olentangy school district. Olentangy FRC is a district-wide club, attracting dozens of intelligent, motivated students with passions for science and technology. As well as familiarizing ourselves with FIRST rule books, examining the successes of other existing teams, Team 4611 built tennis ball shooters in the late Fall to become acquainted with FIRST-approved motors, parts, and wiring. 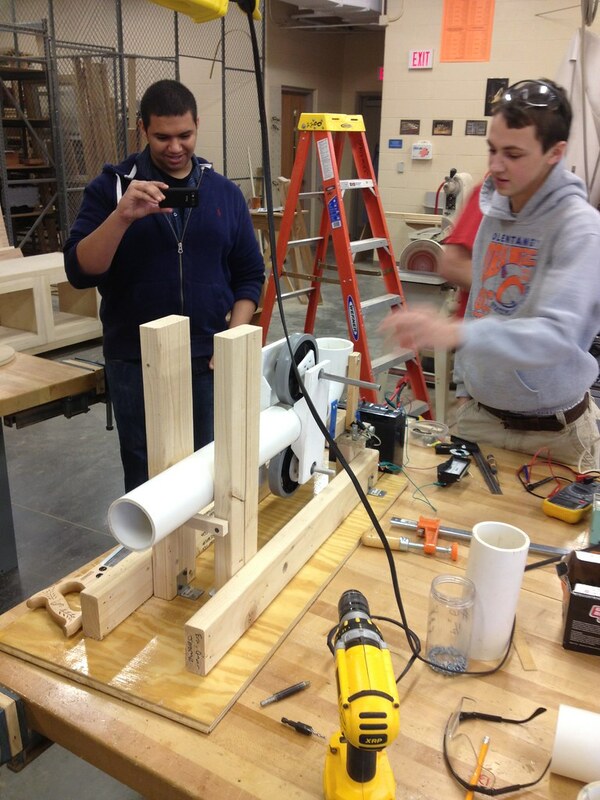 Three groups were formed, each with radically different approaches to fabricating a tennis ball launcher. Not only did the team become one with the tools and materials in its shop, its members bonded with each other as well. Once Kickoff Day came, the team flocked to OSU’s Hitchcock Hall for the Central Ohio local Kickoff Event. 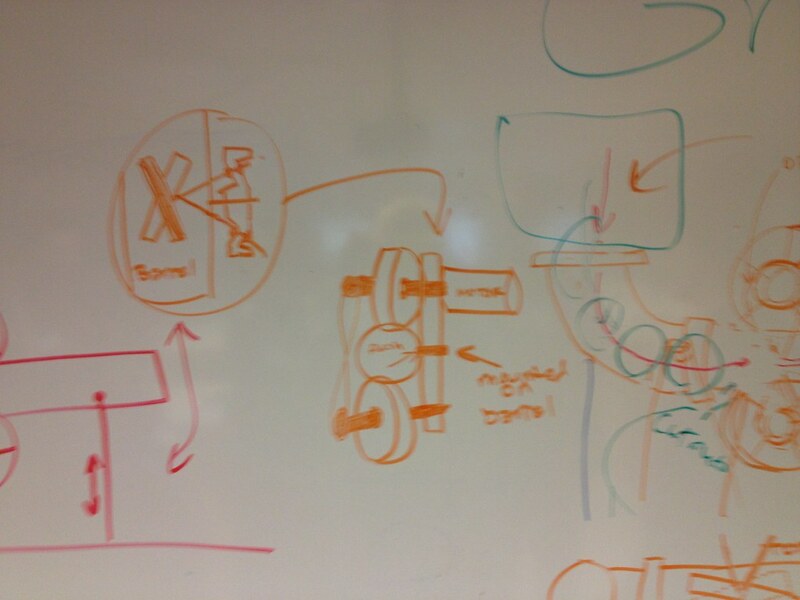 After waiting eagerly and watching the brief contest description, our minds rushed with ideas. Construction (prototyping) began the same day. Parts were inventoried, the chassis was assembled, and a shooter idea was laid down. 4611’s first season was a time of growth and learning. 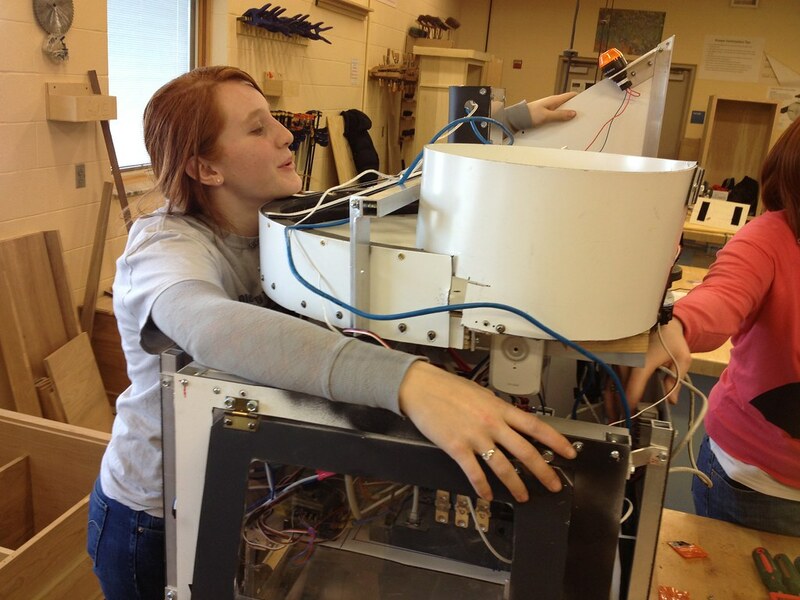 The team’s fabricators made quick progress and had the final Frisbee shooter complete by the second Saturday. Clocking in at 40.9 mph, this powerful shooter was also accurate. A hopper system and aiming mechanism followed shortly. The rigid aluminum frame was designed to carry encasing armor, support the electronics, and carry the shooter. Its strength contributed to the robot’s resilience and toughness during competition. No part ever broke during the competition (not even our spirits)! 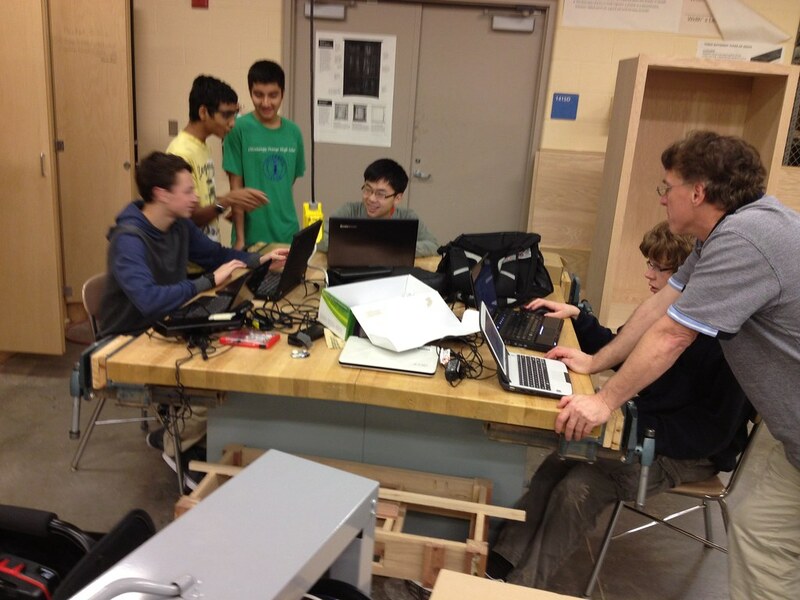 With the help of programming adviser Kent Thede and the neighboring Dublin FRC Team, the robot’s software development followed along. The program was tailored nicely to the Drive Team’s specifications and allowed precision control of the firing and driving. Designing the software to be able to respond to a wide range of inputs such as limit switches, encoders, and other sensors was a challenge, however, and will become easier with experience. Time became short towards the end of the Build period (as time always does). With Stop Build Day around the corner, it was determined that our Xbox Kinect computer aiming system would not be operational in time, due to a severely limited frame rate. Thanks to skillful drivers, computer aiming was ultimately unnecessary. Although ideas were brainstormed, no attempt was made at climbing, not even to the 1st rung. Instead, 4611 optimized the robot for speed and accuracy. After a full-court shot at the Buckeye Regionals, this proved a successful goal. Our first robot at the competition. The final days were spent practicing driving and running the robot down to identify potential points of failure. Few components ever failed, and the drivers were able to concentrate during noisy simulated matches. 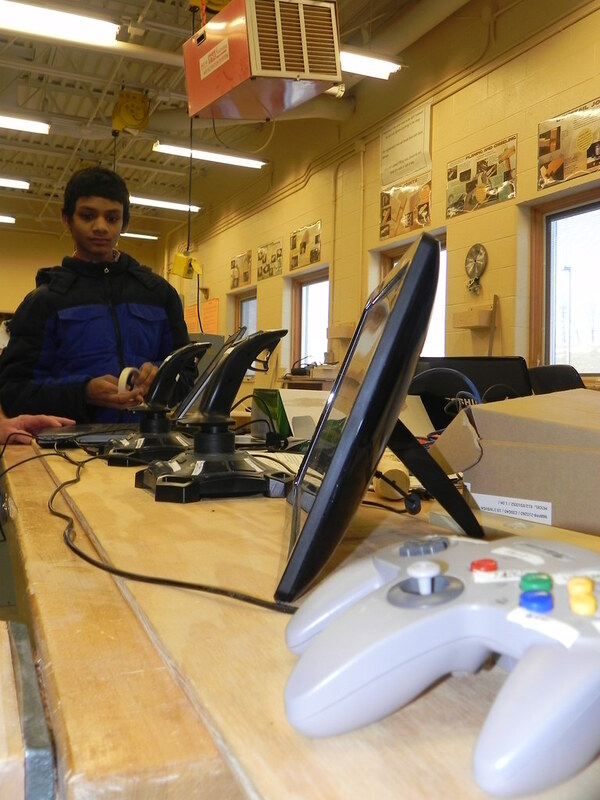 After bag-and-tagging the ‘bot, O3Zone made preparations for Regionals, then one month away. The Buckeye Regionals in Cleveland, Ohio were a wonderful and inspiring time for 4611. The robot was durable. Thanks to the hard work of all 4611 members, the robot won the Rookie All-Star and Rookie Highest Seed awards. 4611’s inaugural season has been a wonderful and educational experience. The Team now has its sights set forward and is excited for what’s to come. We have a lot of room to improve, and now the experience to do so.